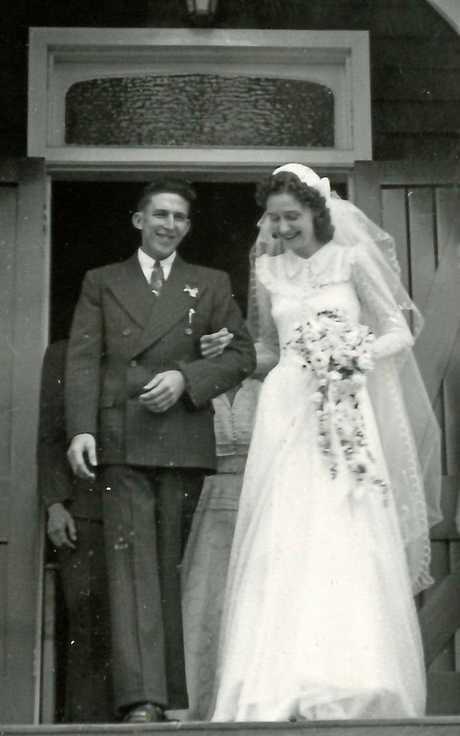 CELEBRATING the long lives and love story of Ivor Douglas (Mick) Kapernick and Marion Kapernick. Marion Magnussen was born on June 8, 1927 to parents Frederick and Doris in Wondai hospital. She grew up in a very loving and caring family with her younger brothers Keith and Jeff. She was an exceptional student at Tingoora school and her father would cut a walking path for her through the corn fields when she was very young so as not to get soaked from the dew and rain on the corn stalks. 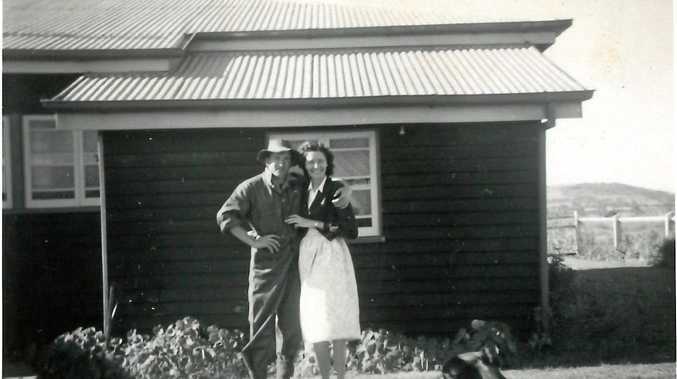 The family sold up and moved to Boat Mountain in Murgon in her teens and settled on their new farm which stayed in the family for many years thereafter. Her teenage years were extremely challenging with the depression and rationing during World War II. Marion had a strong love for music and she learned to play the piano even with a bent little finger on each hand, as well as becoming an accomplished dancer. She learned to ball room dance and when she waltzed she would turn every head in the room. Marion let very few things beat her during her life. Her one vocational aspiration was to become a nurse and with her loving and caring nature she would have been amazing. Unfortunately her caring nature was needed at home when grandmother was unwell and her dreams where sadly never realised. Through her brother Jeff, Marion met Mick Kapernick and they started dating soon after. This started a love affair that was to last over 65 years. Mick Kapernick was born Ivor Douglas Kapernick on April 13, 1930. He was one of six children to Walter and Henrietta Kapernick. Mick's father, Walter was a farmer on Boat Mountain, a local veterinarian to the broader community and in later years, a local councillor. Like Marion, Mick told many of stories of life on the farm, such as how they would trade chickens and eggs for other household essentials or how his mother would sell eggs to the egg board and so the family would have money for clothing. He slept on the enclosed veranda with two of his brothers until the house was later renovated. With his older brothers, Mick was pulled out of school early to work the farm. He was a lover of tennis and with his brother, Ron they were challenged by the then state champions to a doubles match. The brothers won that game and after accepting a re-match with the state champions, they won again. 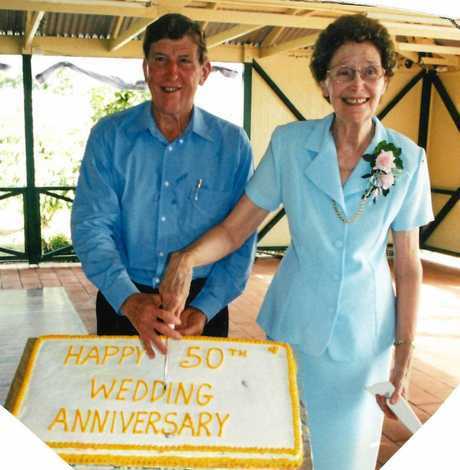 Mick and Marion were married on April 8 1953 in the Church of England in Murgon. This coincidentally, is the same church where they were both laid to rest. After they married, they settled on the farm just adjacent to the Kapernick main farm and built their first house. Marion soon settled into being the housewife and looking after the finances, while Mick went about creating a sustainable life on the farm. On April 14, 1955, their first son David was born. Sadly, the joy of their first born was short lived and David passed away quite quickly. They were devastated, none of their previous challenges could compare with the sense of tremendous loss they experienced. Their second son Brett arrived in 1961 and they started the family life they so wanted, unfortunately they were unable to have any more children. Due to poor health resulting from poisoning and other illnesses, they were forced to sell the farm and move to Murgon in 1975. Mick had a job selling cars and tractors, which was a challenge to start with but his friendly nature shone through and he soon mastered the job. Not long after moving to Murgon, Mick suffered the first of three heart attacks. Marion's early aspiration of being a nurse came into play when she devoted herself to getting her husband well again. His determination enabled him to recover from each of the heart attacks and two strokes over the course of years. The loving couple did not slow down in retirement and they continued to establish themselves as foundation members of the broader community. Marion increased her involvement with numerous activities including Meals on Wheels and taking up leadership roles in the Church Guild. Mick became involved in a project for the establishment of the aged care facility in Murgon as well as the Murgon Men's Shed and the Lions Club. When their son Brett married and had children, Marion and Mick cherished their time as grandparents. Grandchildren Chelsey, April and Hayley gave their grandparents the affectionate names of Marnie and Skip. The popular couple grew old with grace and dignity, always filling the family home with laughter, kindness and stories of their youth. After a proud 65 years of marriage, they knew the meaning of respect for each other and shared that with all. They were selflessly devoted to each other and their family. Mick Kapernick passed away late on December 5, 2018 surrounded by his grandchildren and great grandchildren, family and friends. 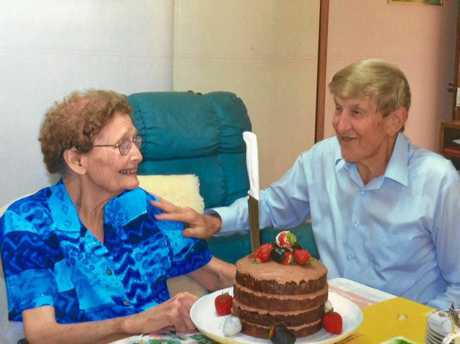 On hearing of her husband's passing, the sparkle in 91-year-old Marion's eye diminished and she started the journey to be with her husband. Marion Kapernick died three days later on December 8, 2018, surrounded by loving family and friends over those three days. On December 17, 2018, a full house of loving relatives and friends attended a beautiful service to celebrate Mick and Marion's remarkable lives in the Anglican Church in Taylor St, Murgon. The same venue where they were married 65 years earlier.